On the title screen, hold down shift, control, option, open apple, 'b'. To tie in with that theme, for an interesting swift end, type 'burger' at the start of the game. 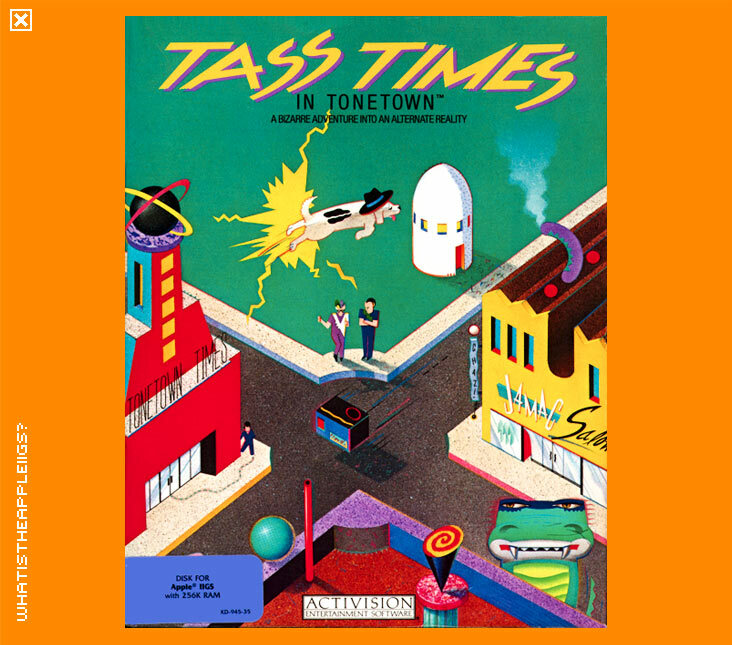 Tass Times in Tone Town has the honour of being the first game available for the Apple IIGS. Programmed by the legendary Rebecca Heinemen (formerly Bill Heinemen), then a member of Interplay Productions, which had designed the game in tandem with Brainwave creations. Tass Times is a member of a now extinct species - text/graphic adventures, the genre a step above text adventures, because, you guessed it, it had graphics! 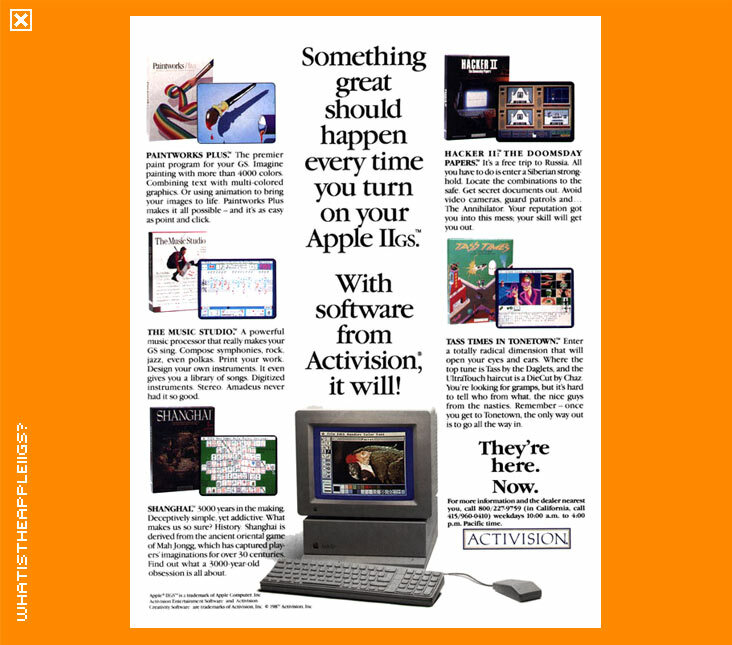 Because it had graphics, it was a new way to input your commands. You could now pick up objects just by clicking them on the screen, or using action icons and then clicking on people or objects. The parser was still available to type in commands, but the mouse now provided a quicker means of executing your actions. The game? 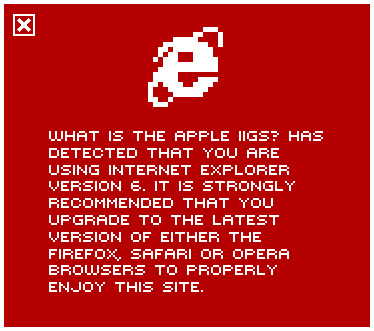 Well, you visit your Gramps' cabin only to find the place deserted. Searching the cabin reveals one of Gramps' experiments, a hoop, when jumped through plants you smack into a new dimension of 'ultrawave coolness' to quote any character from the game. To get back to your own world however, you'll have to find Gramps...Solving the game doesn't involve boring logic puzzles found in adventure games of today. You'll have to pay attention and read carefully the text narrative provided to outwit your enemies and be generally (hint, hint)...Tass! Tightly coded by Burger Becky, the game only required 256k of RAM to run but that hasn't detracted from the style of the game, which has both fantastically drawn graphics by Todd Camasta and terrific music and sound provided by Burger Becky herself; a worthy game to set the standard of IIGS gaming.